A 12-year old girl was kidnapped, gangraped and murdered allegedly by her brothers and uncle in Madhya Pradesh's Sagar on March 14. Her body was found outside the village on the same day. The police said she had been strangled and beheaded. The family started looking for her when she did not return from school the previous day. Her father filed a "missing" complaint with the police in the district. The police grew suspicious after the girl's uncle alleged that one Chote Patel, who lives in same village, had killed her. Patel and the family were locked in a land dispute, he told the police. 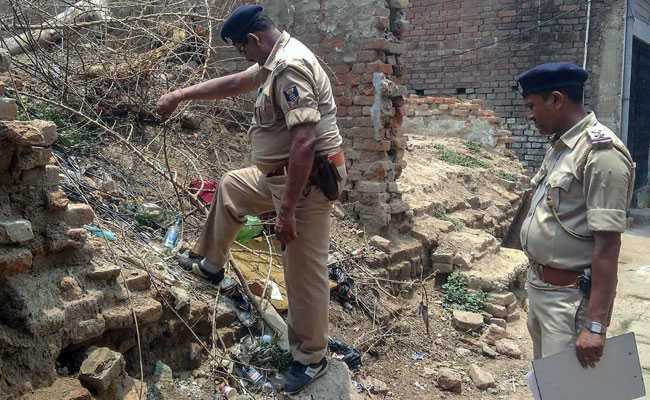 Accusing the uncle of trying to mislead investigators, senior police officer Amit Sanghi told NDTV that the postmortem and a medical report revealed that the girl was raped. More questioning revealed the role of the girl's relatives in a chilling crime. The girl was allegedly taken by one of her brothers to their uncle's place when she was returning home after exams. The uncle and her two brothers allegedly gangraped her and when she threatened to go to the police, her aunt allegedly strangled her. She was beheaded and dumped in the fields, the police officer said. "Our two senior officers collected all evidence and recorded the statements of the family members. When everything was pieced together, we found that she was raped and murdered by her brothers and uncle. We arrested the uncle and one of the brothers," said Mr Sanghi, adding that blood-stained clothes and the murder weapon - a sickle - was also found. The police are yet to trace another brother.